For connoisseurs of sativa cannabis seeds, Pineapple Slick feminised cannabis seeds are not to be missed. The sensational combination of Pineapple and Diesel creates a delicious diesel smoke that is broken up with fruity, yet spicy top notes to generate a social cerebral high that clears your mind and lets you get on with your day. For growing medical marijuana, especially for cerebral effect, this hybrid is magnificent. And for those that want exceptional flavour, we don't think you can do much better. For combatting stress, pain, nausea, insomnia and even eye pressure, Pineapple Slick is incredible. It is perfect for those suffering from anxiety or migraines and those with ADHD, PTSD or ADD can find relief with this strain. The seeds themselves take just 9 weeks after germination when growing cannabis indoors, generating high THC levels of up to 22% in strong plants that yield well. Those rock hard buds that come from the strong diesel genetics can create up to 500g/m2 for Pineapple Slick marijuana seeds all filled with that sensational flavoursome resin that you are going to adore. 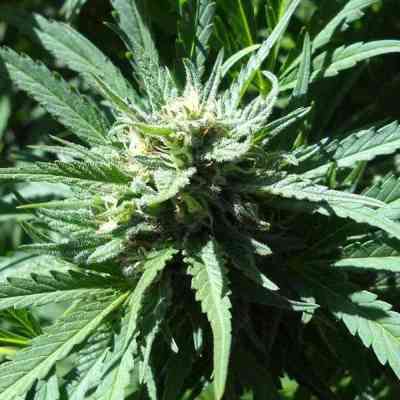 If you haven't tried Pineapple Slick feminized cannabis seeds before, then now is your chance. We don't think you will ever look back.